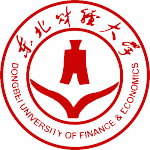 International Institute of Chinese Language and Culture (IICLC) at Dongbei University of Finance and Economics (DUFE) offers a variety of Chinese language programs in Dalian. DUFE has over twenty years of experience in international education. It has produced thousands of graduates from over 80 countries all over the world. We have formed an International Students Education Management System which includes undergraduate programs, graduate programs, doctoral degree programs and short-term or long-term Chinese and Business Chinese courses. DUFE is a nationally designated Business Chinese Test (BCT) center and a test center for the Chinese Proficiency Test (HSK). It is also a host institution of China Government Scholarship for international students. In 2012, in Liaoning Province’s examination and appraisal of universities which teach overseas students, DUFE ranked number one. DUFE emphasizes a students-centered educational approach and our goal is to train the international students to master both economics and Chinese language. The International Institute of Chinese Language and Culture (IICLC) is a designated administrative institution at DUFE to recruit international students and to provide teaching and living facilities to students. IICLC has also established special undergraduate programs in Chinese Language, Economics and Management for international students. The current long-term international student’s population is more than 500, among whom about 60% are pursuing degrees. International students have their own teaching building, dormitory and restaurant.